The tailwater section of The Blue River, below Lake Dillon, is where The blue begins to gain national notoriety. Mysis shrimp inhabit Lake Dillon. As these small freshwater shrimp are swept into the river below the reservoir, something truly amazing happens. Trout line up in droves to feed on the protein-rich shrimp. 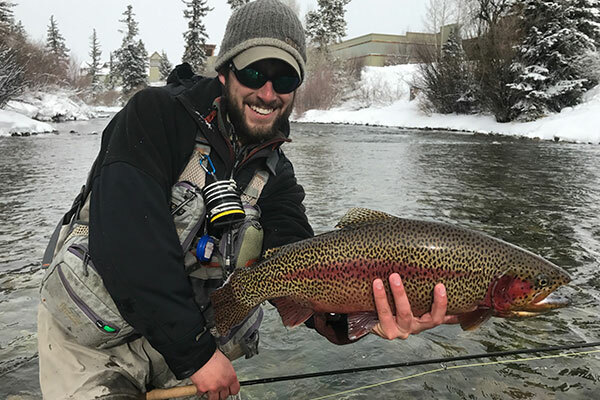 These trout can reach epic proportions and take on astonishingly brilliant color variations, making them some of the most beautiful trout in the state. The Blue, as it is known to locals, is truly a unique fishery. Different sections of the river can take on a variety of characteristics. The upper sections, before the river hits Lake Dillon, has a small stream feel. There have been both private and public efforts to improve the fishery. Today lots of hungry, sometimes not-so-little, trout inhabit this section of Colorado’ s Blue River. Probing The Blue’s confluence with Lake Dillon with streamers and nymphs can provide exciting fly fishing action. 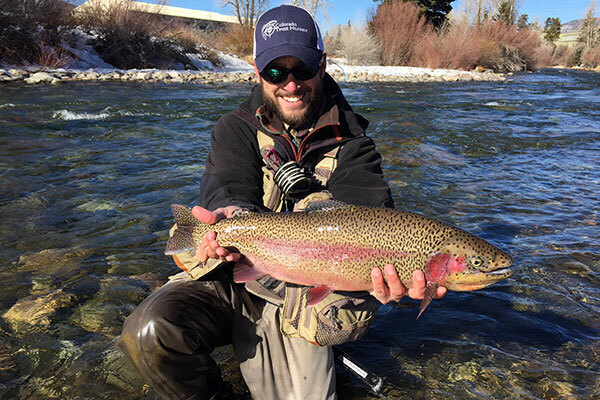 This tailwater begins in the town of Silverthorn where the Blue River flows out of Lake Dillon. Catching fish under Interstate 70 behind outlet malls, with curious and often enthusiastic onlookers, is not for everyone. Anglers who like to test their skills on these wary trout somehow always find a way to make the most of it. USGS 09050700 – BLUE RIVER BELOW DILLON, CO.
Below the town, anglers can access The Blue River at several public access points. 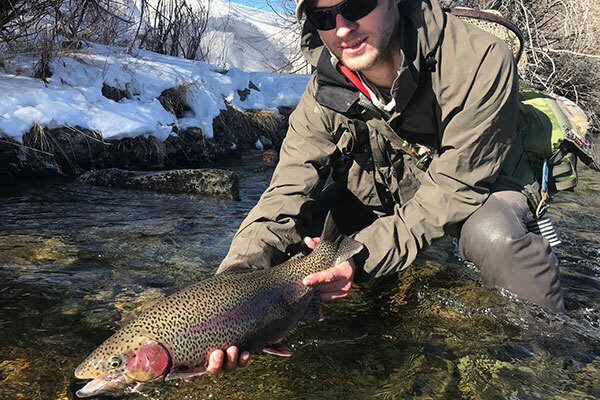 Fly fishing is usually consistent, with browns and rainbows being the norm. In the fall, Kokanee Salmon enter the river from Green Mountain Reservoir and add additional angling opportunities. Below Green Mountain Reservoir on the Blue River there is a three-mile-long canyon that is open to the public. The trail is rugged and, unless you are in good physical shape and fishing with a buddy, it is not wise to venture far into this canyon, especially because rising water could potentially leave you stranded. Below this canyon, almost all of The Blue River access is private. Please respect the private property. 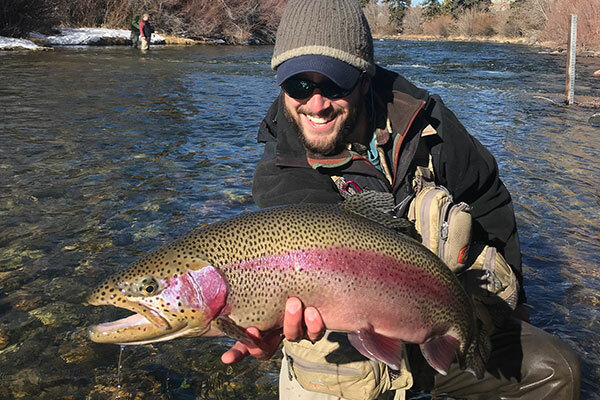 However, fishing is good if you are lucky enough to gain access to private water on the Blue River.The Blue River eventually flows into the Colorado River near the town of Kremmling there is some public access above the confluence but fishing of often spotty. 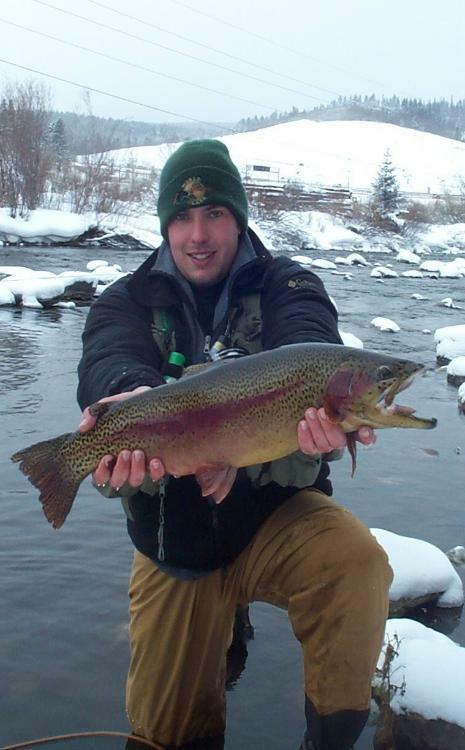 Watch for big brown trout moving up from the Colorado River in the fall. 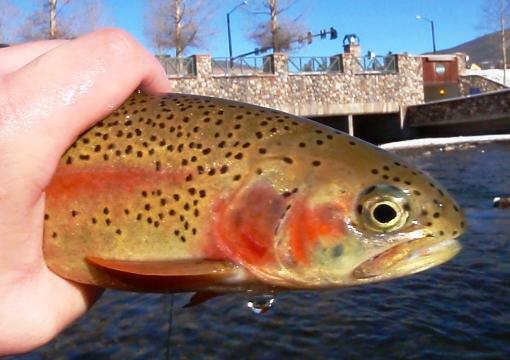 Rainbow trout fly fishing on the Blue River in Downtown Silverthorne. Fishing the Blue River under HWY I-70 in Colorado. Urban fly fishing! 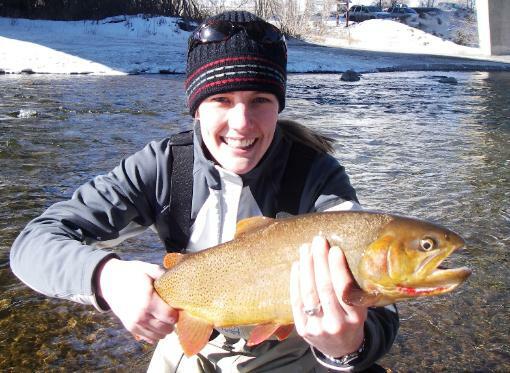 Blue River fly fishing in Silverthorne, Colorado. 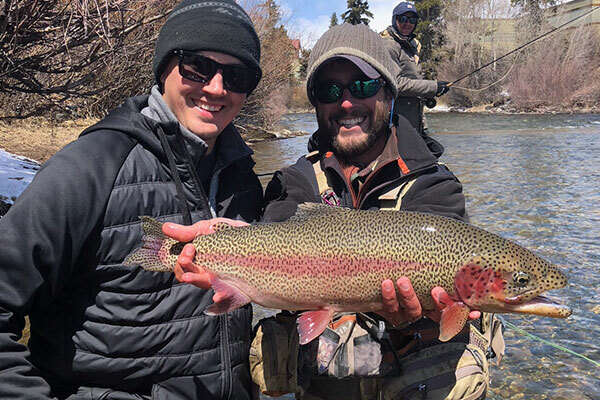 Guided fly fishing trips on the Blue.